Email subject lines do make the difference to the email marketing campaigns. It is the very first line of the email layout i.e. subject lines that comes to the recipient’s notice. On the basis of the email subject lines, the entire email message of the brand is considered. You might think that how the one single line in the email has the power to make the reader read entire email? The subject line is the code of the complete email content you share with the audience and it is your job to make it easy as well as interesting for them to decipher. In order to achieve your email marketing goals, you have to make the most of the email subject lines. How do you do it? To entice your target audience to read the complete email, we are sharing the email subject line hacks with you. All these shared hacks will put the expected actions in the right way. It is good for the books but not the emails. Emails are in the context of humans, most of the time. 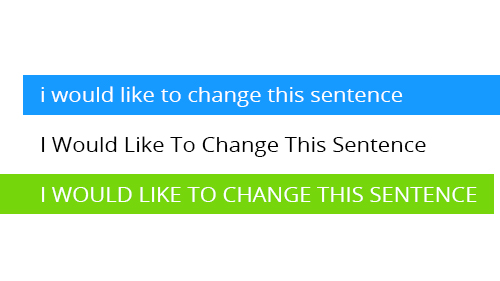 Title cases make it very formal, whereas email subject line in the conversational tone connects well with the audience. Your email should not look like it is coming from the President of the USA but from the common citizen, from a friend. Too many words in the email subject space clutter the content. 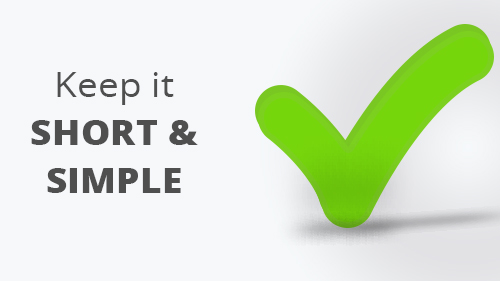 It is advisable to create the email subject line short, sweet and simple. Making it calculative, the email subject line should be of 50 characters and 5 words. Pick the short and the punchy words for the email subject line to work. More than 70% of the users open their emails on the mobile and this suggestion will help them to read the complete message on the small screen. The email message preview in most of the email clients is displayed in the subject line. Approx 8-12 words email content preview appears immediately down the email subject line. As mentioned earlier in the blog, the subject line is the code you share it with the large audience and you have to decipher it for them. 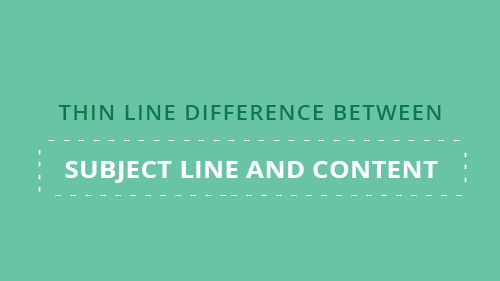 The email subject line and its content, therefore, should have the thin line difference, maintaining their interest to read the entire message. When you personalize the email subject lines, the sent email is considered as if it is created particularly for the subscriber. According to the campaign monitor survey, it is found that 26% more emails are opened when the email subject lines are personalized. 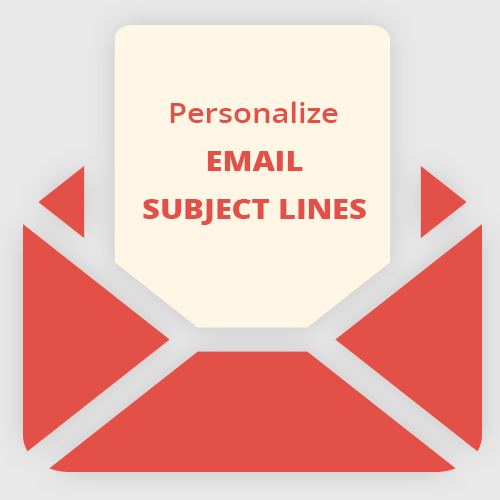 Adding the personalize factor to the email subject line, you can consider including the first name of the subscriber. The email subject line should deliver the importance to the reader, making them read the complete email content. 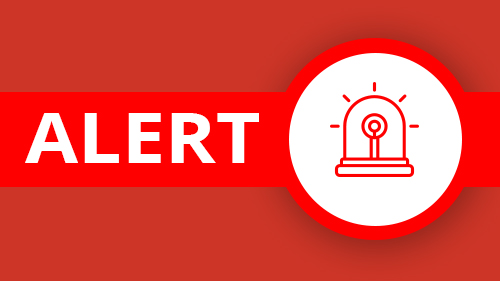 To encourage the audience to open the email on the basis of email subject line, consider using the alert words such as ‘breaking’, ‘important’, ‘alert’, ‘urgent’, etc. These words define the time sensitivity. 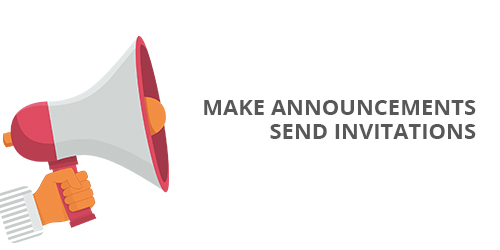 Announcements and the invitation emails have the huge influence on the audience. To stay updated about the favorite brands or to get the invitation to their favorite launch event is what makes the reader open such emails. You can use these two golden words in the email subject line to indicate the meaningful relationship between the brand and email recipients. It will make the reader realize how important they are to your brand and its association as well. Instead of using the single topic in the email subject line, you can add the multiple topics on the same. Including the multiple ideas in the subject line can help you to increase the email open rates. This means if you are the retailer, you can include two-three product categories offers in the email subject line so that you can at least hit one. If the single product category offer is included in the email subject line, the chances, it will not excite most of the recipients. It might be difficult for the B2B industries to include the emoji in the email subject line but it can be useful for the B2C industries. 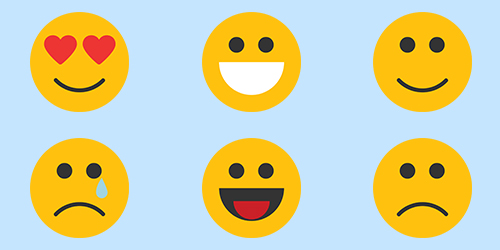 To strongly convey your email message to the reader, you can add emoji in the subject line because emoji help to raise the email open rates in B2C emails by approx 15%. Numbers have the magical power over us. 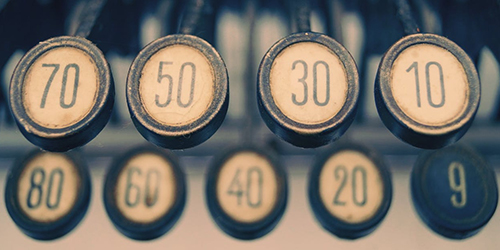 Numbers allow you to get straight to the point or the subject. The click open rates of the emails increase from the standard level, making the recipient curious. Consider yourself right now: you clicked on this blog to know which are the 10 email subject line hacks to make your email marketing campaign potentially successful. That’s the influence of numbers over us! Email marketing campaigns have the huge potential to attract the right kind of customers for the brand. 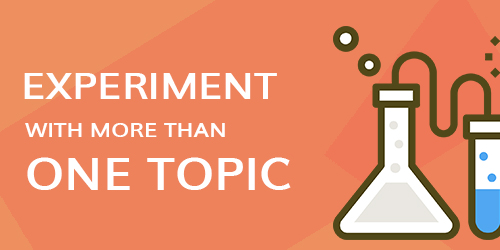 To do it well, you have to consider some hacks such as here we have shared it on the email subject lines and how you can increase the click open rates through it. 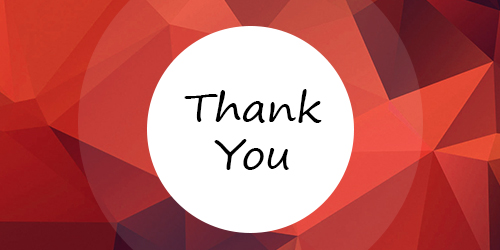 Such personalizing experience of the emails leads to adding the value to the customers. You can consider these hacks for personalizing the email subject lines and you can surprise yourself with positive leads!